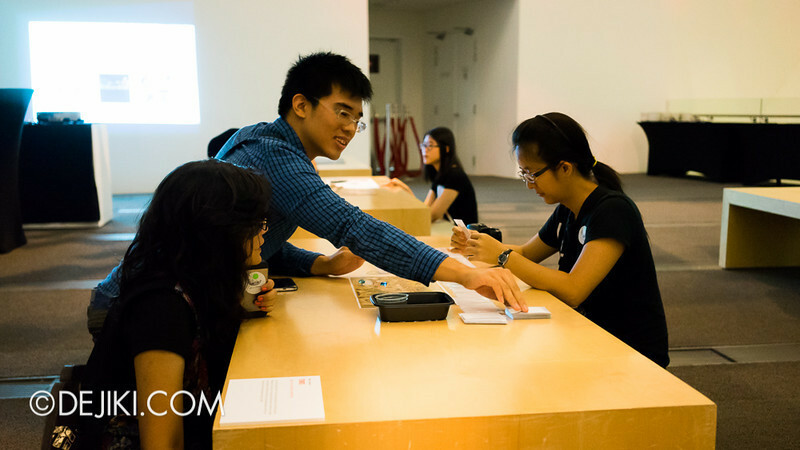 Back at the ArtScience Museum for the second time, Random Blends seeks to offer visitors with an engaging and participatory experience. The theme this year, CALIBR8, suggests a negotiation of meanings between visitors, the art, and the context (the Museum itself). 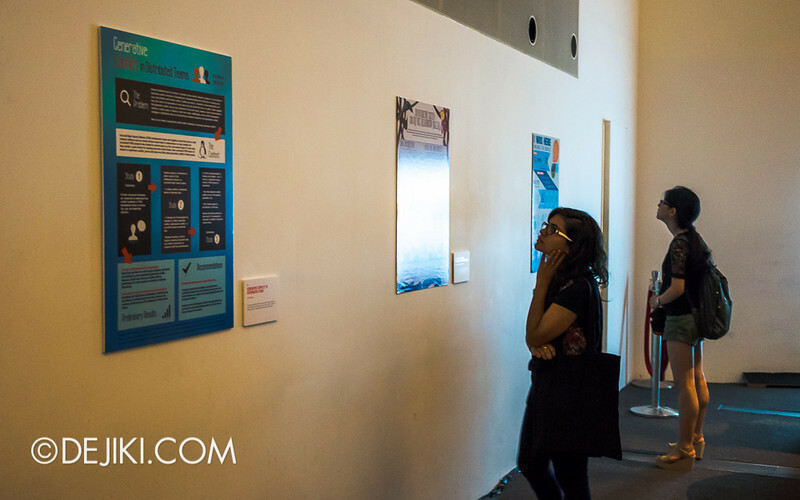 This is a student showcase that features works of undergraduates reading modules from the Communications and New Media (CNM) department. 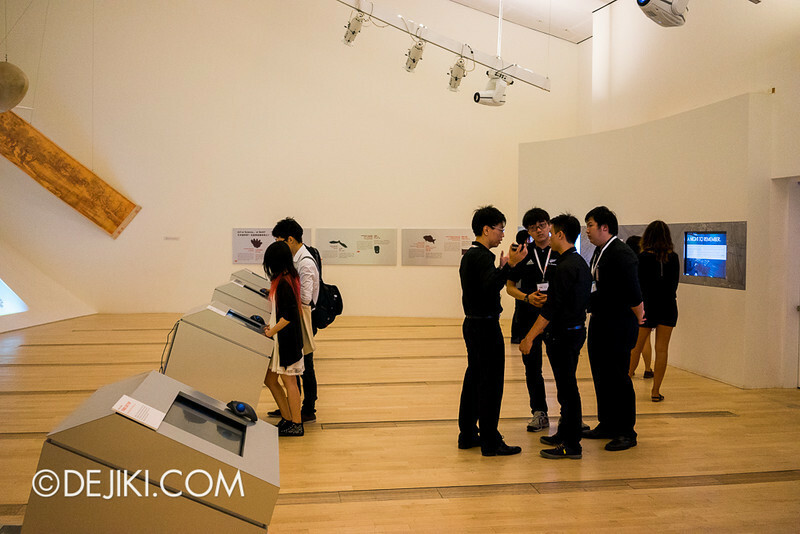 CNM is part of the Faculty of Arts and Social Sciences (FASS), National University of Singapore. The CNM department offers a diverse range of modules revolving new media – an ever-changing term too broad and complex to define. 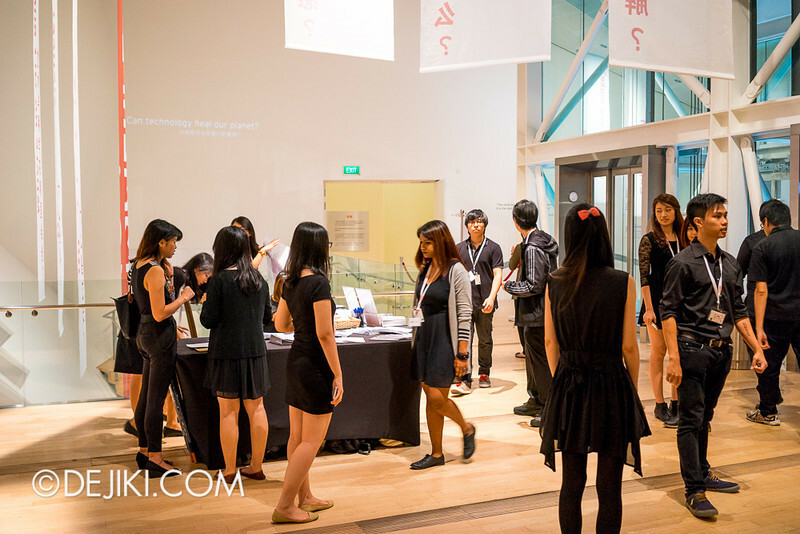 Spread across three ArtScience Galleries, visitors can expect works such as videos, visual communications and graphics design, media study projects, as well as games, interactive stories and comics. 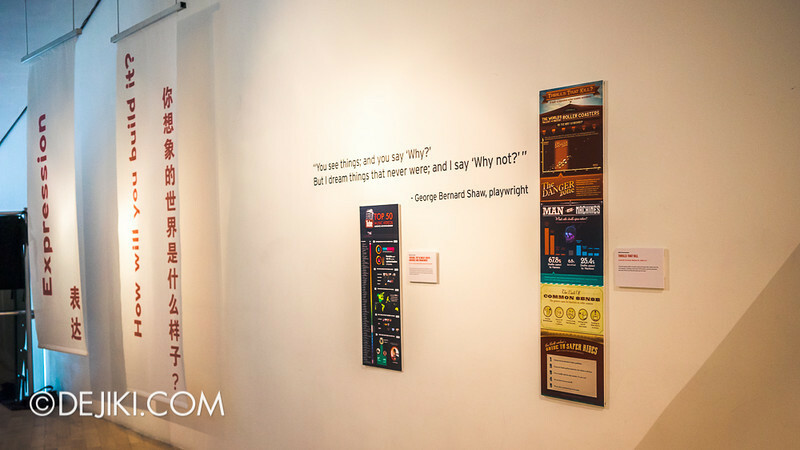 The exhibition is developed and run by NUS Students, from both FASS and School of Computing, that are reading two modules: Managing Communication Campaigns, and HCI and Interactive Arts/Entertainment Design. They have spent a lot of time and effort to produce this exhibition. Even though the final prep was during recess week, we all know that “recess week is no recess”. Add preparing for an exhibition to the mix. 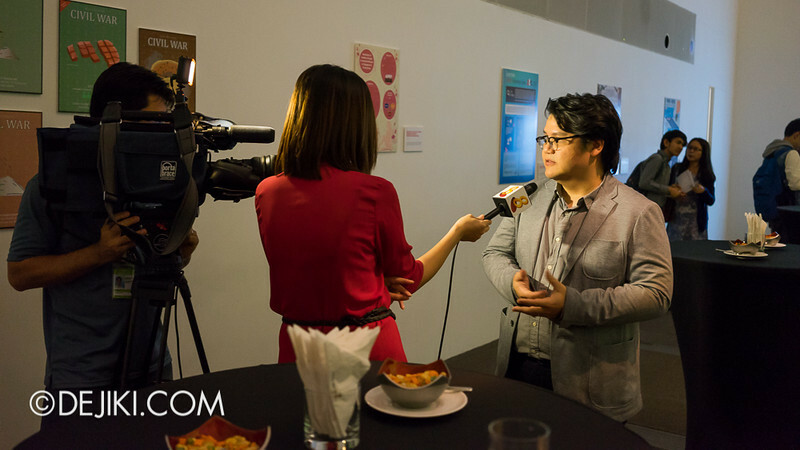 Dr. Yew interviewed by Mediacorp Channel 8 News. This year, the event enjoyed the company of illustrious Guests of Honour: Ms Sim Ann (Minister of State, MCI and MOE), Mr Pann Lim (Creative Director, Kinetic Singapore) and Ms Georgette Tan (Group Head of Communications at MasterCard). 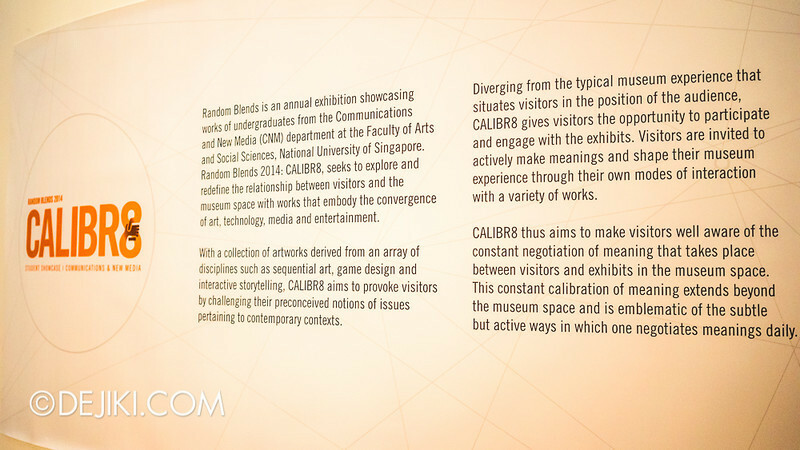 While the exhibition is set up at a Marina Bay Sand’s ArtScience Museum, Random Blends 2014: CALIBR8 is not just about perusing beautiful student works. 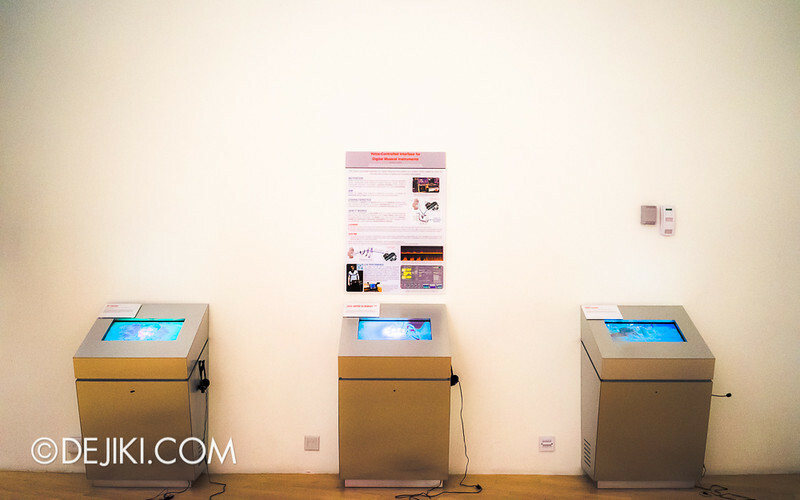 Visitors are encouraged to shape their own interpretation of the works displayed. Three pieces of art at the galleries are produced by yours truly (two of which are group projects with classmates). 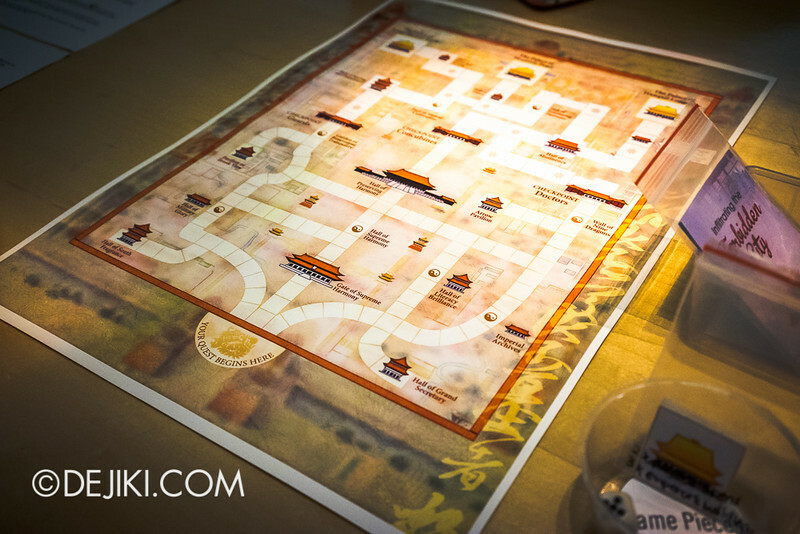 For all three works, I was the lead designer. So for those who are curious as to what else I do apart from writing about theme parks, do have a look. 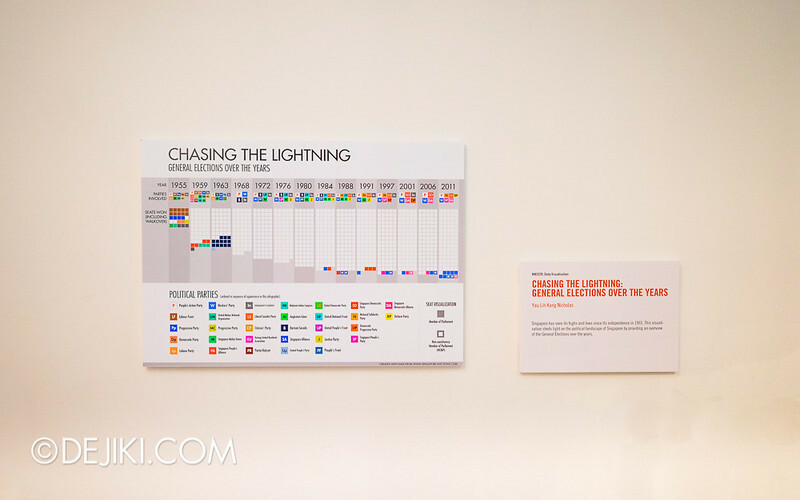 One of them, Chasing the Lightning, is an infographic that conceals more than it shows. You’re welcomed to discuss your findings. Well, there is also one piece that is about theme parks – rollercoasters, in fact. I almost went insane illustrating this infographic. Do take a look! 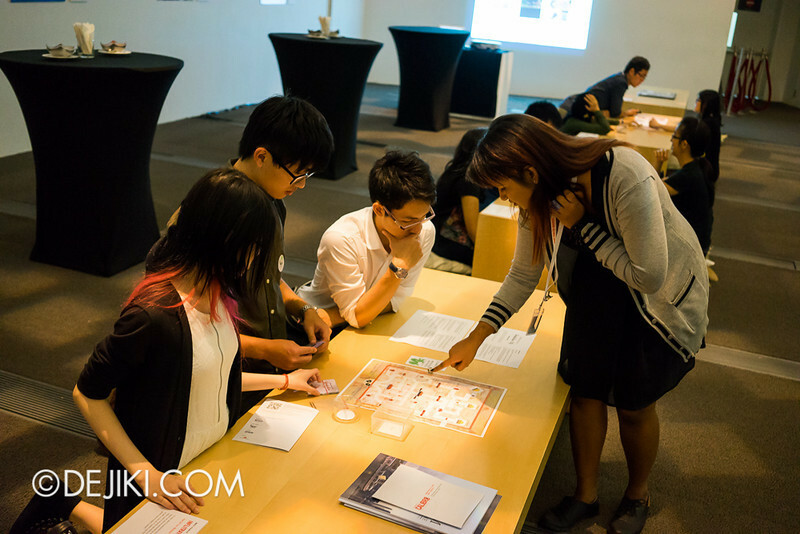 The ArtScience Revealed session will be held on 2nd March 2014 (Sunday) from 1PM to 5PM. During the session, the artists will be present to discuss their works. You are, of course, very much welcomed to join in the discussion. 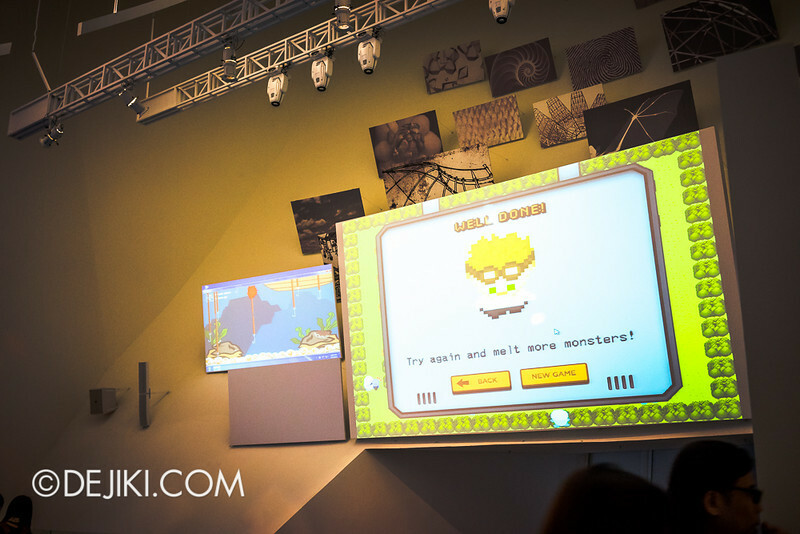 Random Blends 2014: Calibr8 is showing at Marina Bay Sand’s ArtScience Galleries (Level 4) at ArtScience Museum. Wow! Me in the first photo! I didn’t notice you taking photos then! It’s a nice shot of you with Alex, Dr. Zhang and the kids! So, with your degree, you’re more of a graphic designer or an interaction designer?